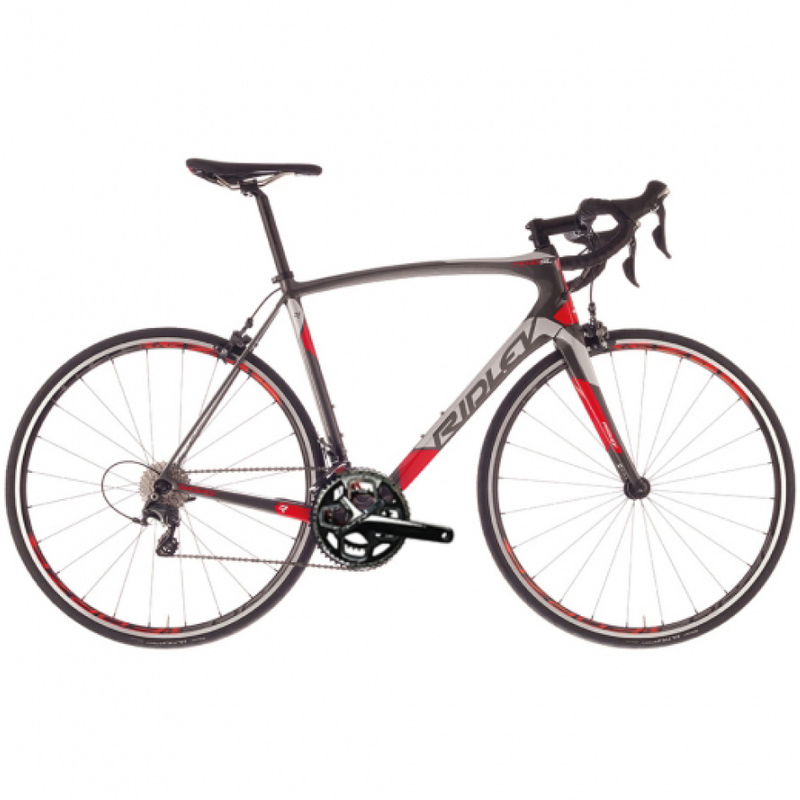 The Ridley Fenix SL is the quintessential “all-round” bike. It offers the perfect blend between performance, weight, strength, stiffness and especially comfort for long days in the saddle. Its unique diamond shape tubing creates reinforced edges for a robust frame with increased impact-resistance. While this bike expertly handles top competition, it is also perfectly suited for the part-time racer or recreational rider in terms of performance, comfort and cost. It’s the optimal bike for tackling your next Gran Fondo or extended tour through the Flemish Ardennes. Compatible with both mechanical and electronic shifting. The Fenix SL is almost completely modelled after Ridley’s Fenix SLX design for that ultimate “all-round” bike feel. The only differences are that this frameset is built for caliper brakes and its high-modulus carbon fibre layup consists of 30/24-ton. The Fenix SL is the only bike you need, go from tackling the climbs and hitting the cobbles to competing for town line sprints. PLEASE NOTE: All of our bikes are built to orderAll of our bikes are built to order. This usually takes between 8-10 working days depending on time of year. Image is for illustration purpose only, please see full specification above.